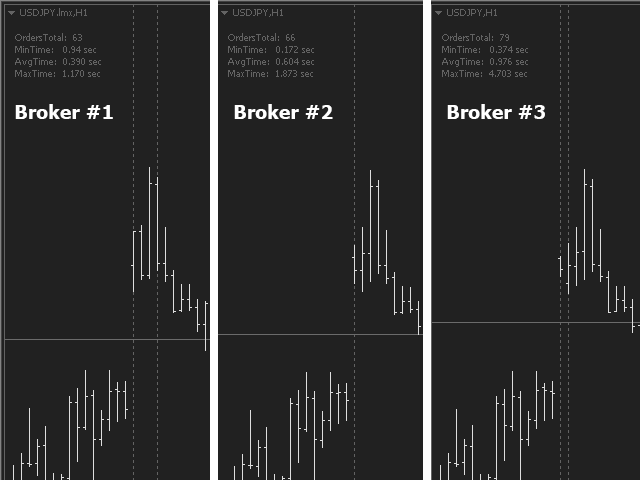 This script will show you information about the execution speed of market orders. 1. Press "File/Open Data Folder"
2. Open the "Logs" folder. 3. 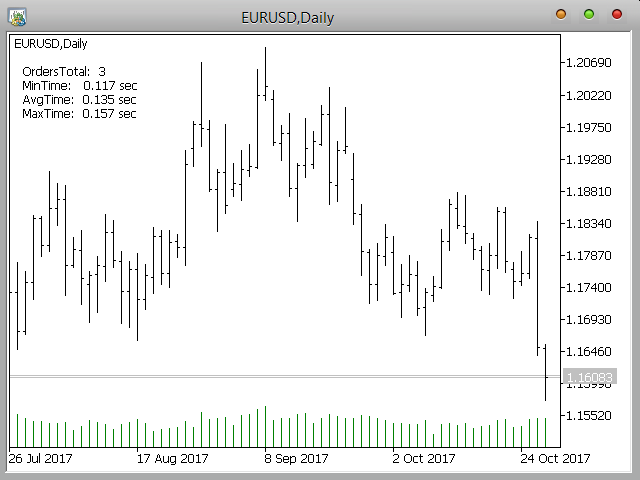 Copy the log-files to "MQL5\Files"
CloseOrders - check execution time of market orders which where used to close positions on EURUSD. The result will be displayed at the top left corner of the chart.